Pharmaceutical & BioScience Society (PBSS) is a non-profit organization working in various pharmaceutical and life sciences, biotechnology and pharmaceutical industries; largely concentrated in the San Francisco Bay and San Diego area. 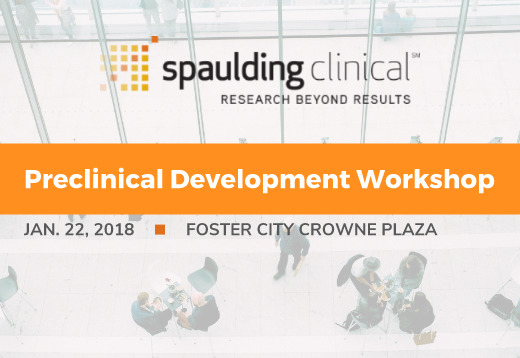 Spaulding Clinical Research, a global CRO providing Phase I - IV drug development services to pharmaceutical and biotechnology companies, will be making starting off the 2018 year for the Preclinical Development Workshop. We welcome you to join our movement or meet up with one of our dedicated team members in the San Francisco Bay Area to answer any questions that you might have about overcoming the challenges of using today's latest technology in our industry and marketplace.